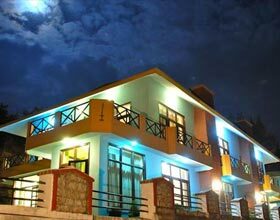 Hotel Shiva Continental Mussoorie is a delight for business and leisure travelers located centrally near Picture Palace entry of this exquisite hill station. 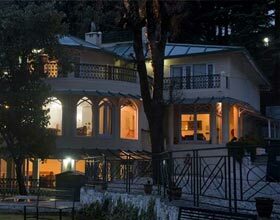 Among the affordable resorts available in the queen hills, Mussoorie this getaway is cradled aptly in the Pine plantations of the lofty Himalayas. The hotel boasts of its location offering convenient access to The Mall Road and other important landmarks in this region. 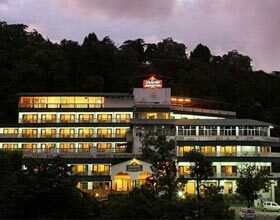 Hotel Shiva Continental Mussoorie has a well equipped banquet ideal for organizing corporate meets, press conferences, social gatherings and receptions accommodating up to 200 guests. An in-house souvenir shop and recreational activities including Carrom, Chess, Table Tennis etc are additional perks adored by guests. Gracefully designed 40 guest rooms and suites are facilitated with all modern amenities including satellite TV and are equipped with simple yet traditional furniture with rich upholstery and comfortable beddings. Offering splendid panoramic views of the majestic Himalayas, snow-covered peaks and rolling down pine trees, accommodations are subtly differentiated into Standard Rooms, Deluxe Rooms, Super Deluxe Rooms and Maharaja Suites. Dining at Hotel Shiva Continental Mussoorie is culinary delight with lip smacking cuisines from regional, Indian and international fares. Scrumptious dishes with classic touch amidst elegant and graceful interiors of the on-site restaurant are a treat for guests abode. The restaurant opens into a terrace with appropriate setup for patrons desiring for al fresco dining experience. Along with mini bar in each room, Hotel Shiva Continental also has a bar lounge serving finest wines spirits from around the world.